Johnny is a gorgeous looking boy who was commissioned by Adrian as a birthday gift for his partner. Isn't he a handsome? 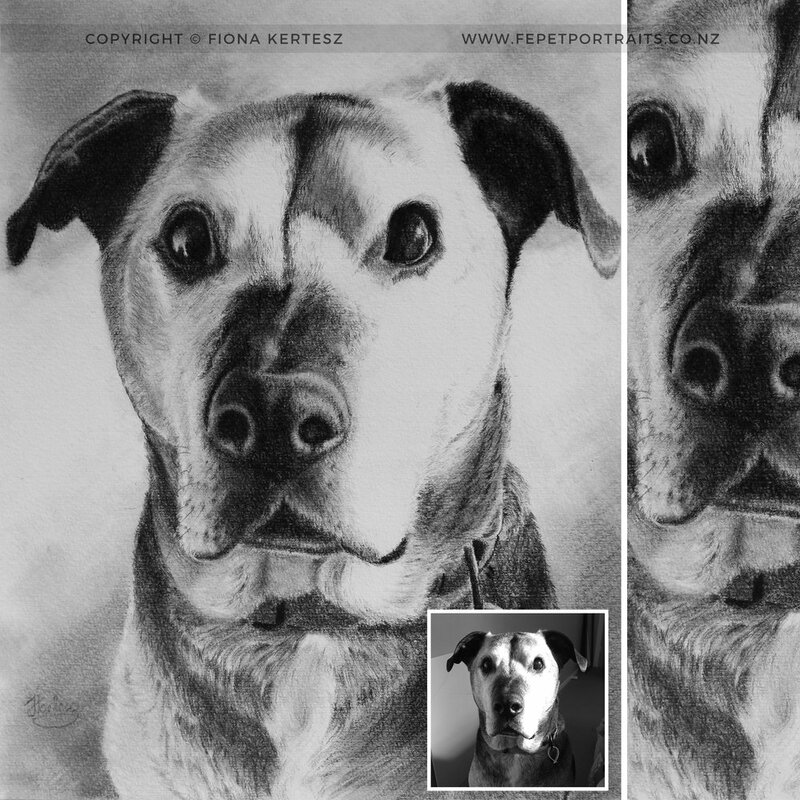 I really enjoyed this portrait, he was a real delight to draw with his short fur, and large brown eyes. Both Adrian and his partner loved their portrait.